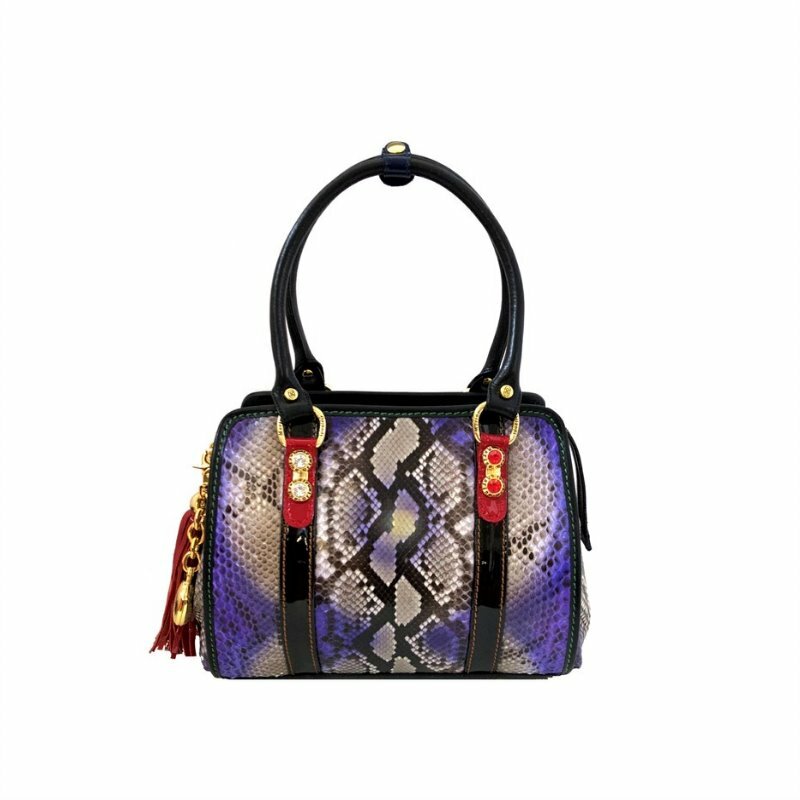 The elegant bag from the Vero Pitone collection pays tribute to the traditional savoir- faire Marino Orlandi. A city bag that turns out to be perfect for work too, thanks to the size that can hold various documents and folders. The purple python, alternating with the shiny black of the insertions, gives a touch of unsurpassed quality.